Over the next days, we kept thinking about that delicious burger, and wondered if it was really as good as it seemed. Beaver’s isn’t one of the usual suspects mentioned for the best burgers in Houston, and perhaps we just hit them on a great night. So, in the interest of science, we returned over the weekend for a late lunch, and ordered the burger. We were not disappointed. We were again blown away by the superb combination of meats in the patty; this time, armed with the knowledge of the ingredients, we were able to appreciate the individual flavors even more. We tried to recall a burger we enjoyed more. Even the legendary Christian’s Totem paled in comparison. Folks, we have a new champion for Best Burger in Houston: Beaver’s. Congratulations to Jonathan Jones and his staff for raising the bar even higher in America’s best burger town. We enjoy great BBQ. And we love a great burger. We’ve been hearing good buzz about Beaver’s for months, especially since Chef Jonathan Jones took over the helm there, so we ventured out on one of the first cool nights of fall, perfect for BBQ. Tucked away off Washington Avenue, Beavers was very easy to find. 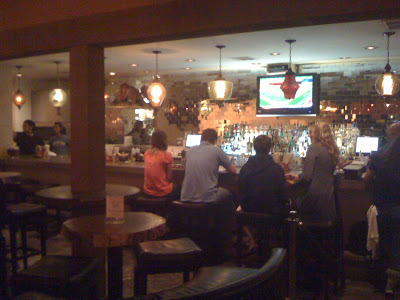 We parked and ventured in to a very cozy setting: Funky, modern, warm and comfortable. Immediately we were grabbed by the laid-back vibe; the feel was vintage Austin before it became too self-conscious. We settled in at the bar (seemed appropriate here) and perused the menu. Both my dining companion and I decided to sample the Beaver Burger – he was taken by the description, and I’d been wanting a good burger for days. 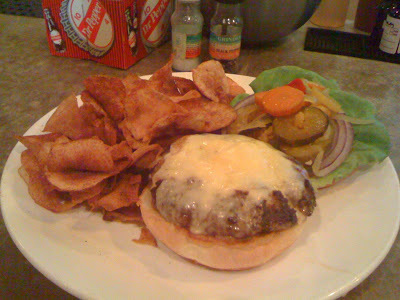 The Beaver Burger is a hand-formed patty of ground sirloin, ground brisket, and bacon. It is cooked to order (the chef had no problem with medium rare, a situation which is, um, rare these days) and was perhaps the juiciest burger we’ve sampled in Houston. Topped with a very nice white cheddar (maintaining a superb beef/cheese ratio) the patty is perched on an excellent eggy Kraftsmen bun, and topped with very interesting veggies, including house-pickled carrots, cauliflower, and cucumbers. (We ate these veggies on the side.) At $9 it’s a steal. The result was nothing short of spectacular. The bun held up well to the supremely juicy patty, and its slightly sweet flavor was an excellent counterpoint to the savory meat, smooth, creamy cheese, and tangy purple onions. Clearly this was a burger designed by a chef who understand how to meld a variety of flavors into a whole that is greater than the sum of its excellent ingredients. Beavers may very well have great BBQ, but I fear we’ll never try it, because we already want to go back for another one of these superb burgers. $9 for a burger is a steal. Stealing from YOU! I would hardly call a steal for a burger. You can get a prime beef burger for $6 at Fleming's during happy hour. No argument that $9 is a lot of money for a hamburger. 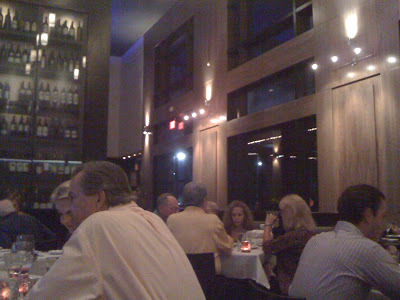 But we've seen lesser quality upscale burgers for $15 or more, including JJ's creation when he opened Max's Wine Dive. And this burger is better. We stand by our statement that this is a good value. Can they make it without bacon for those of us who are allergic, jewish, and/or muslim? I wouldn't be surprised if they accommodated you, but I'd ask @PapaBeav just to be sure. this is the best burger Ive ever had. Well worth the money. It is in a different class than other hi-end burgers, you have to try it. If the patty was served like a steak, alone on the plate, it would be worth at least $9.